We host a number of events to support students in their professional development and give employers access to student talent. At these multi-day on-campus recruiting events, hundreds of employers meet thousands of qualified students to fill full-time, co-op and internship positions, while students take the opportunity to talk directly with company representatives about the organization's work, culture and hiring needs. Students can find full details and a list of attending employers in Handshake. Employers can find details and register in Handshake. Employers without a Handshake account can view details for the upcoming career fair here. At the annual Undergraduate Scholarly Showcase, hundreds of students from across the university share their findings, revelations, inventions and interpretations of the world we live in. The showcase is free and open to the entire campus community. The Southwest Ohio/Northern Kentucky Education Career Fair is a collaborative event presented by Xavier University, Antioch University Midwest, Cincinnati Christian University, Mount St. Joseph University, Northern Kentucky University, the University of Cincinnati, and Wilmington College. 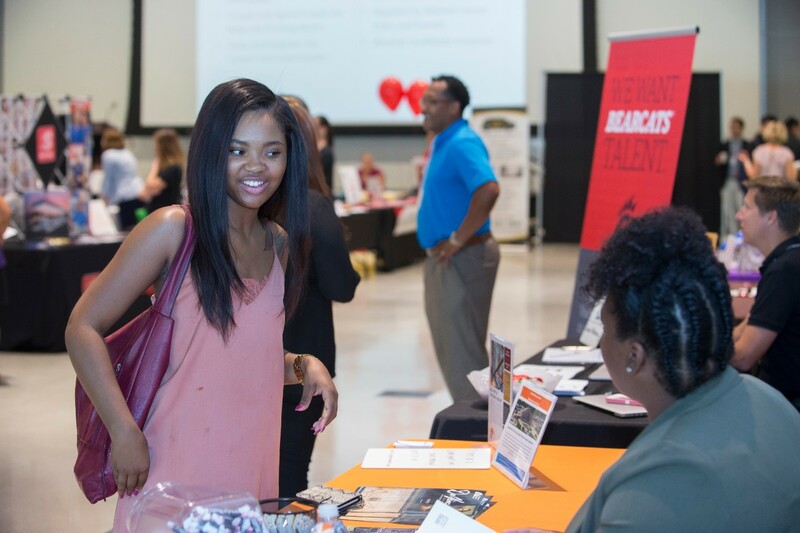 The event provides school corporations the opportunity to connect with hundreds of teaching and counseling candidates from seven area colleges and universities in one fair. We’re re-envisioning the campus recruiting experience for students and employers in the creative field. Join us at the E2C Symposium to meet and recruit emerging creative talent, build your brand on campus, and network with other creative professionals.